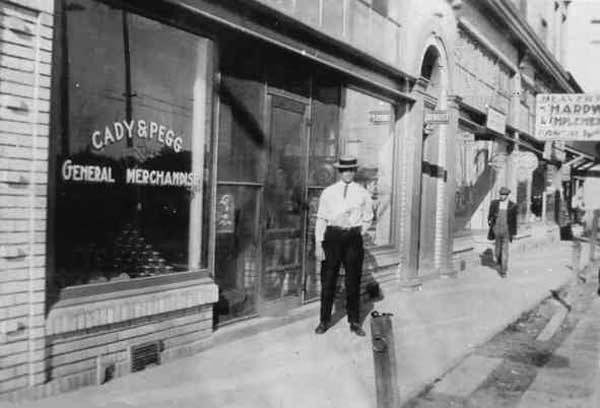 A man stands on a sidewalk in front of Cady & Pegg General Merchandise store on Broadway Street. Also visible are signs for a dentist and Beaverton Hardware. The structure is the brick Cady Building. The view looks west.